A dramatic decline in the number of volunteer firefighters, particularly young ones, threatens the ability of small departments to provide an essential public service. Most people may not think this potential crisis impacts them, however almost 70% of firefighters across the nation are volunteers. And it’s not just about fighting fires since most calls are for emergency medical services. For the first time in 28 years, the majority of volunteer firefighters in the U.S. are over the age of 50, according to a firefighter profile released in November by the National Fire Protection Association. And while the number of on-call firefighters is decreasing, the demand for fire and rescue services is increasing. The U.S. Fire Administration (USFA) says in 2013 there were an estimated 30,052 U.S. fire departments and 19,807 of them were all volunteer. Volunteers comprise 69% of firefighters in the United States. Of the total estimated 1,140,750 volunteer and paid firefighters across the country, 786,150 are volunteer. Communities served by volunteer firefighters depend on them to be their first line of defense for many types of emergencies. Volunteer firefighters are summoned to a wide array of emergencies across the country every day including fires, emergency medical incidents, terrorist events, natural disasters, hazardous materials incidents, water rescue emergencies, high-angle and confined space emergencies, and other general public service calls. The public relies on the volunteer emergency services to be their first line of defense in these emergencies. Volunteers spend an enormous amount of time training to prepare for these emergencies. Small and mid-sized communities rely heavily on volunteer firefighters. Small communities (populations under 10,000) across the U.S. are typically protected by all volunteer departments. In some cases, however, these communities have hired a few paid firefighters to assist. Mid-sized communities (populations above 10,000) are typically served by combination volunteer and paid departments. Large communities (populations over 100,000) are most often protected by combination volunteer and paid departments that consist of primarily paid staff. There are few strictly paid fire departments in the U.S., but those that exist are primarily found in very urban areas. The Citizen-Times.com writes in 1980, a firefighter needed only 36 hours of training. Today that number has grown to 250 hours to obtain firefighter certification. Earning the certification can take up to a year for someone working a regular job and taking the training in the evenings. Because fire departments have expanded the scope of their duties to include answering emergency medical calls, many firefighters also are emergency medical technicians, which requires another 100 to 250+ hours of training. NVFC states volunteers typically contribute 20 to 100 hours per month or more. McRae said without volunteers, the fire departments in the county can’t offer the fire and rescue protection to residents they are commissioned to offer. Aside from the safety repercussions, insurance service office ratings can cause home insurance rates for homeowners to go up several hundred dollars a year in communities without a fire department or volunteer fire department. Below are some creative recruitment ideas, resources and vids to share with family, friends, co-workers, local officials, schools and youth groups. If you can contribute your time and energy, please consider becoming a volunteer or at least talk to your local Fire Department to see if there are ways to support them operationally and/or financially. 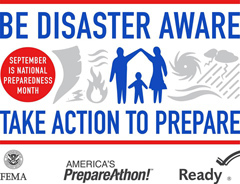 And speaking of financial assistance… please share our programs associated with our customizable IT’S A DISASTER! preparedness and first aid manual since ideas can help fund and support volunteers, agencies and others. Visit www.fedhealth.net or call Fedhealth at 1-888-999-4325. Maine Pension Program: Maine State Federation of Firefighters is working hard to try and recruit more volunteer firefighters, and to promote state legislation that aims to support the firefighters. L.D. 164, An Act To Establish the Maine Length of Service Award Program, would create the framework for a statewide pension-type program under which volunteers such as firefighters or emergency medical service providers eventually would receive a pension. The bill would pay for the program through a tax on consumer fireworks writes Bangor Daily News. WHHC free room & board: A volunteer fire department in Lycoming County Ohio is looking for recruits and has something that could entice young firefighters writes WNEP.com. The Willing Hand Hose Company offers free room and board for college students who will respond to ambulance calls, fire calls, accidents and more. The fire house has been upgraded with all new amenities, including an updated kitchen, living quarters, and a TV room. Not only are the live-ins getting free room and board but they are also getting professional training which would cost them thousands to do on their own. Fire Corps: The NVFC has also been instrumental in the launch of Fire Corps, a national initiative to recruit community members into local fire and EMS departments to perform non-emergency roles. This allows department members to focus on training and emergency response while at the same time increasing the services and programs the department can offer. Fire Corps is a component of the DHS’s Citizen Corps initiative and is administered on a national level by the NVFC. For more information, visit www.firecorps.org . 1-800-FIRE-LINE: In addition, the NVFC administers the 1-800-FIRE-LINE national recruitment campaign in an effort to boost the ranks in the volunteer fire service both operationally and non-operationally. Community members can call the toll-free 1-800-FIRE-LINE number from anywhere in the country to learn about the firefighter, EMS, and Fire Corps opportunities in their community. The campaign also includes resources for fire departments and state fire associations to implement and market the campaign. Learn more at www.1800fireline.org. NVFC Retention and Recruitment tools: The National Volunteer Fire Council has many helpful resources, Best Practices, videos and PSAs and other tools on their Retention and Recruitment section. Also learn more about other NVFC programs and services at www.nvfc.org or call 1-888-ASK-NVFC. National Junior Firefighter Program Recruitment Video: Junior firefighter program advisors and department leaders can use this short video, which features juniors participating and explaining their interest in junior firefighting and their plans for their future, to recruit youth for their program at the local level. The video can be downloaded and taken to schools, community organizations, or department open houses to educate youth and adults about the benefit of junior firefighter programs. Why I Chose Fire: Next Generation Volunteer Video: This 9-minute video features inspirational interviews with diverse first responders about why they love volunteering and what inspired them to get involved in the fire/EMS services. The videos articulate what potential volunteer firefighters need to know to be successful today and in the future. Click here to download a free copy of Why I Chose Fire: Next Generation from the Fire 20/20 web site, and learn how to get a customized version for your department or organization.